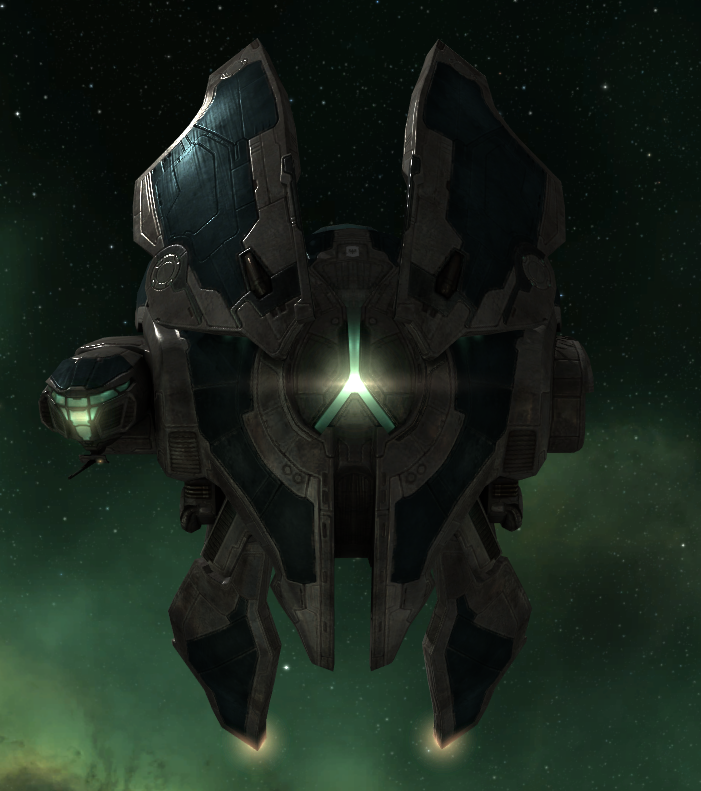 Second only to the Incrusus for length of time domesticated by the Gallente Federation, the Tristan has long populated the inner Nebula as a personal guard. Due to their general good nature, Tristan often accompany industrial haulers and mining barges as guards. Heavy for a frigate, the Tristan weighs in on the large side. It's thick, layers of armor and squad structure allow it to withstand an incredible amount of damage. Fossil and blueprint records suggest that Tristan are closely related to the Vexor and Dominix. Patent and willing they deflect swift strikes against the Federation's industrial backbone. Although they breed true in captivity, Tristan have been left largely unaltered by the shipyards until recent synthetic polymers where added into the Federation's blueprints to give the Tristan greater flexibility in when entering warp. Plucky and known as 'brave' many predatory frigates will back down from an engagement with a Tristan. It is believed that the flare of its frontal lobes mixed with the bright, central illumination node makes it appear cruiser sized. Along with the flight of drones the Tristan appears as ferocious as it can be in defense. Their nick name 'the fat man' came from early in their domestication by an xenologist with a tendency to see anthropomorphic attributes in native fauna. The Tristan has limited movement in it's frontal lobes. A hive ship, Tristan's are capable of bonding a full flight of light drones. These companions often tuck themselves away behind the lobes in emergency warp and star bathe during sentry duty. The Incrusus is the little mutant brother of the Incursus? Apologies for the nitpicking but I just couldn't resist. If the name was slighlty easier on the tongue I would take it as name for the gallente T3 frigate.